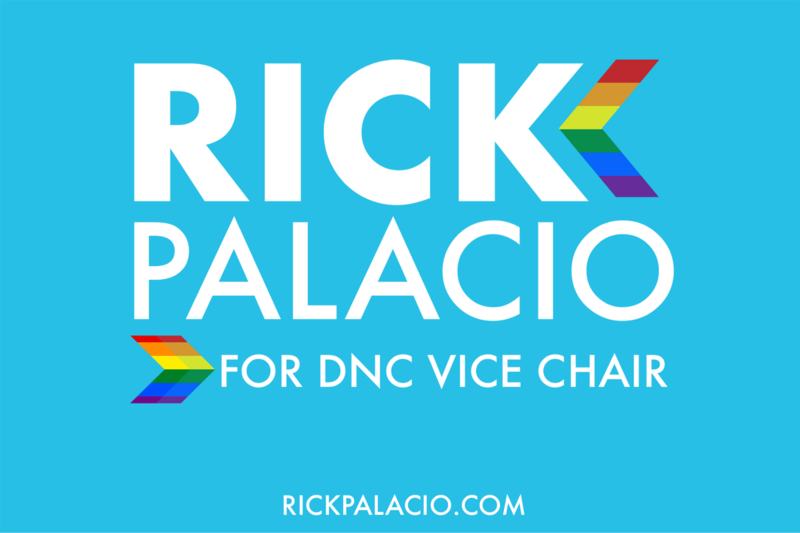 Rick Palacio is riding a huge wave of momentum heading into the vote for DNC Vice Chair in Atlanta tomorrow. Team Rick continues to grow with another round of widespread support for Rick for DNC Vice Chair. This broad coalition of new support comes from DNC leaders from all regions of the country, and adds to the dozens of members who have already privately and publicly thrown their support behind Rick’s campaign. The list includes state party chairs, state legislators, former state legislators, and a former DNC elected officer. Rick is the only state chair running for vice chair and he is one of only two candidates who live in the west. Earlier this week, he was endorsed by Equality PAC, an organization dedicated to electing LGBT candidates to office. Rick’s success in a true battleground state shows he’s ready to take on the challenges facing the DNC. Join our team at rickpalacio.com and don’t forget to vote for Rick tomorrow!